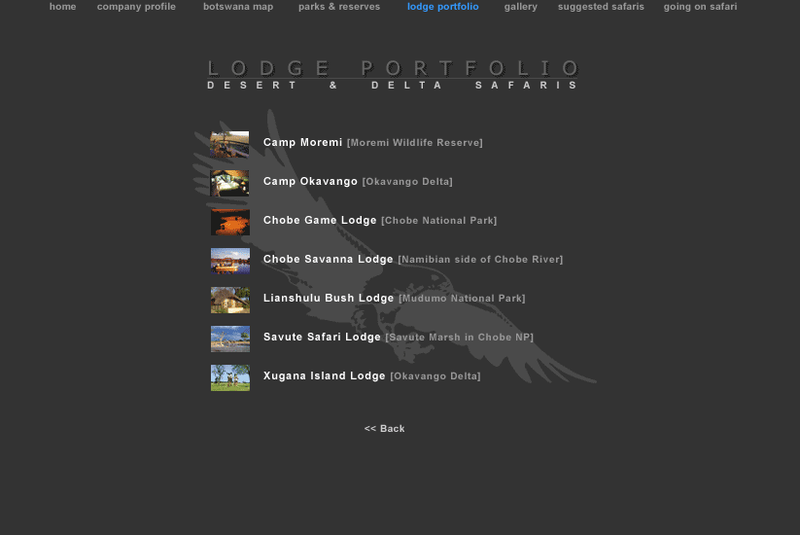 Original flagship website for Desert & Delta Safaris. 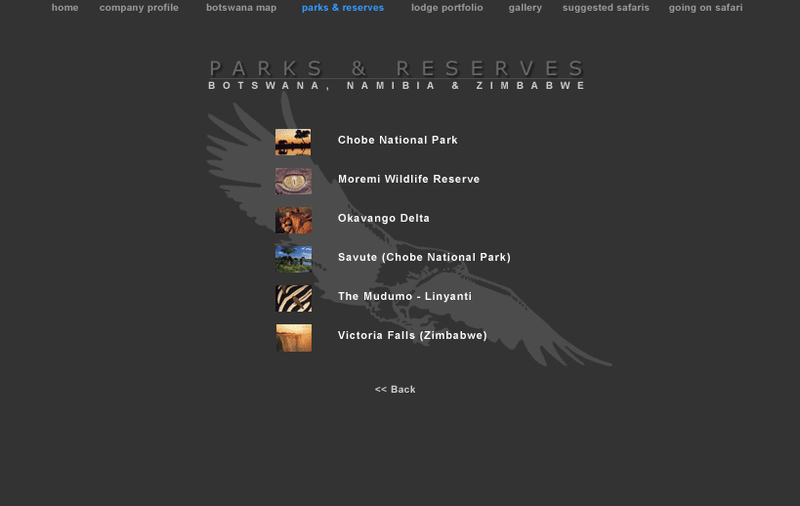 Safari Lodge & Safari Tour Operator based in Botswana. 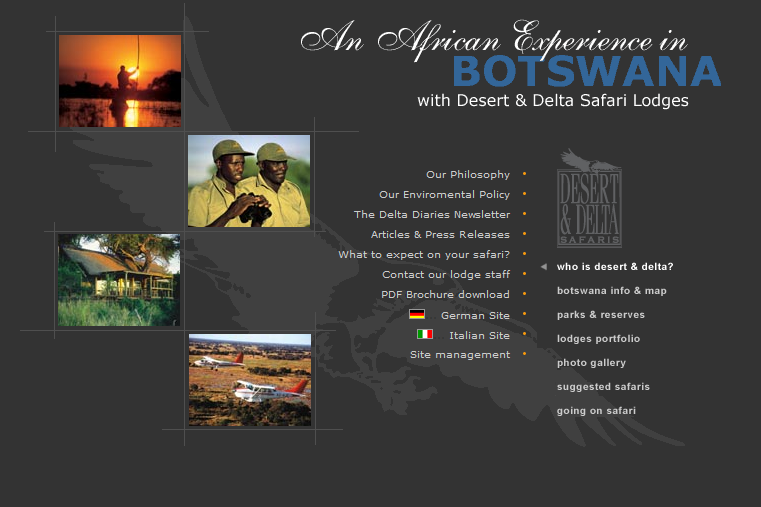 English, German & Italian language versions. 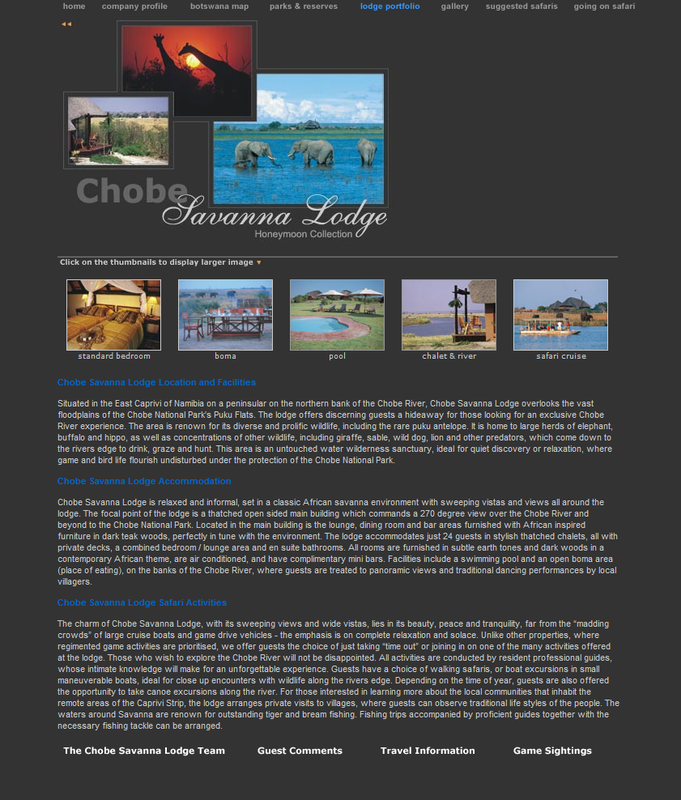 Logo & Website Design, build, post-production management and hosting by us.